The aim of this study is to evaluate securement devices for peripheral intravenous catheters (PIVC) in the paediatric ED to determine which method is most effective for reducing PIVC failure, associated costs, acceptability and patient distress. Infants and children depend on PIVCs for the provision of medical therapy within the emergency department and during hospitalisation. However, PIVC insertion and management is challenging and more than 25% of devices fail. PIVC failure is costly for both the patient and healthcare organisation. 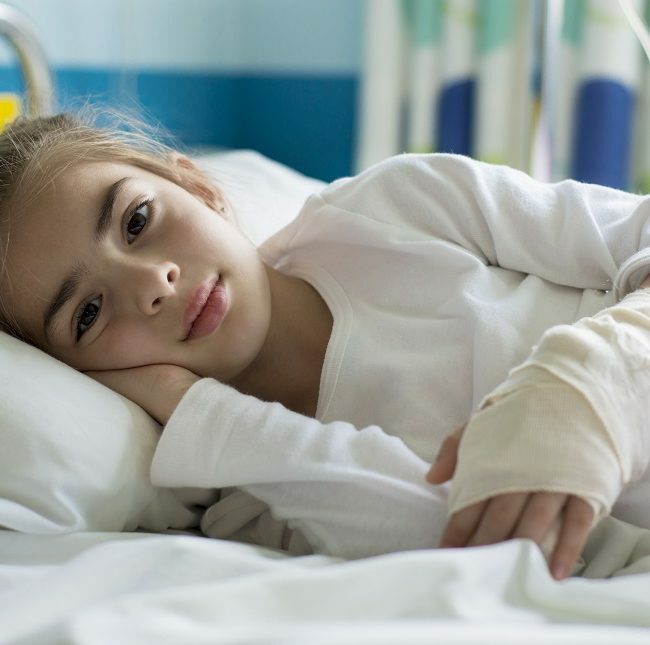 Failure may require the child to undergo traumatic reinsertion procedures, delay important medical treatment and prolong length of hospital stay. One way to reduce PIVC failure is with effective PIVC dressing and securement, by ensuring correct catheter position in the vein. Our trial aims to test if new advances in catheter securement, medical grade superglue (Histoacryl) and an integrated dressing securement product (SorbaView SHIELD), are effective at preventing cannula failure and complications in paediatric patients. Using a three arm, randomised controlled trial, this study will recruit 460 paediatric patients at two regional emergency departments (Logan Hospital, Ipswich Hospital). Children will be randomised to receive PIVC securement by i) standard care, ii) advanced dressing or iii) medical grade superglue and advanced dressing. The main outcome of this trial is PIVC failure, with other important questions surrounding cost effectiveness and patient comfort also to be explored. It is important for effective, improved cannula security to be explored as this is frequently a first line device choice for treatment, being highly effective in rapid treatment situations. A result in improved treatment delivery will benefit with cost savings in not only product but clinician time spent re-inserting, and a reduction in unnecessary, painful procedures for children.